Note: This document is long to begin with and will take the average modem a good two minutes to download! There are a number of pictures associated with it. Most of them are in links so that the load time of this page occurs sometime before the end of the century. :) Feel free to see all the pictures by clicking on the links. The pictures will appear in separate windows. Don't wish to read it? Watch the Tandy 600 FAQ Live as recorded at Tandy Assembly 2018 on YouTube. This FAQ has been created by researching manuals, articles, newsgroup postings, prior FAQs, personal experiences of users, and the like from what are believed to be reliable sources. There is a chance that what is presented may NOT actually be true or reliable and will actually may be harmful to your system, data, and yourself. Use of the contents of this FAQ is at your own risk and peril! And don't open up your Tandy 600's case unless you know what you're doing!! The following is a list of topics and their headings in this FAQ. 2.0 What is the Tandy 600? 3.1 What was Released By Radio Shack for the Tandy 600? 3.2 When Did Tandy Start Developing the Tandy 600? 3.3 Why was the Tandy 600 Discontinued? 3.4 How Many Batteries are in the Tandy 600? 3.5 How do I Replace a Dead, Main Battery? 3.6 How do I Replace a Dead, Memory Battery? 3.8 How do I Get Out of (Insert Application Name Here)? 3.9 Why Can’t Microsoft Word 2000 (and so on) Read Word Documents Created on the 600? 3.10 What is the Heath Zenith ZP-150? 3.11 What Type of 3.5" Drive Is That? 3.12 How do I Read a Tandy 600 Diskette on an MS-DOS Machine? 3.13 Will the Tandy 600 Read Disks from the PDD1 or PDD2? 3.14 How can I Attach a Second Drive to my Tandy 600? 3.15 How Do I Install More RAM in my Tandy 600? 3.16 What are the Five Chips Behind the Cover on the Bottom? 3.17 How Do I Install BASIC in my Tandy 600? 3.18 Where can I Find a Tandy 600, Memory, and Other Related Hardware? 3.19 Where Can I Find Tandy 600 Software? 3.20 What was Club 600? 3.21 What is the Revision History of the Tandy 600 FAQ? 3.22 What Type of Modem is Built-In? 3.23 What Kind of Cable do I Need for the Modem Port? 3.24 What Kind of Cable do I Need for the Printer Port? 3.25 Why Are File Transfers in Telcom so Darn Slow? 3.26 Will a Model 100 / 102 / 200 Machine Language Program Run on a Tandy 600? 3.27 Will a Model 100 / 102 / 200 BASIC Program Run an on a Tandy 600? 3.28 Will a GW-BASIC Program Run an on a Tandy 600? 3.29 Will an MS-DOS Program Run an on a Tandy 600? 3.30 Is there a Tandy 600 Emulator? 3.31 How do I Write Machine Language Programs? 3.32 Where is the Built-In Calculator? 3.33 What Is the Maximum Size of a BASIC Program? 3.34 What's the New Line Sequence when Printing to a Printer? 3.35 What is the Power Output of the AC Adapter? 3.36 Why Has my Screen Filled With Garbage and What Do I Do? 3.37 Which Magazine Issues Contain Articles on the Tandy 600? 3.38 My display is really dark! 4.1 Cold Starts, Normal Starts, Warm Starts, and Resets. Oh My! The Tandy 600 was the last laptop in the Radio Shack / Tandy computer family that was not based on MS-DOS. Introduced on October 28, 1985, according to Portable 100, it was designed to extend the features of the laptop line blazed by the TRS-80 Model 100 and Tandy 200 laptops. Building upon what the Tandy 200 was to the Model 100, it sported a larger screen, more powerful built in programs, and more contiguous RAM. The Tandy 600 went even farther with a built-in disk drive. Unfortunately, this all came with a hefty price tag ($1599 - $2528.85 depending on configuration,) increased size (13” x 12” x 2 ¾”,) and amplified weight (9.5 - 11 pounds with AC adapter.) 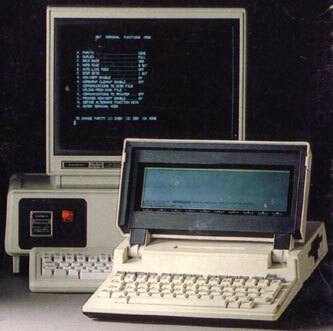 When compared with the TRS-80 Model 100 (soon to be the Tandy 102) and Tandy 200, critics derided the 600 as more expensive, quite heavier, and seriously lacking in third party support. When MS-DOS laptops finally appeared in the Tandy line, the curtain closed forever on the Tandy 600 show. 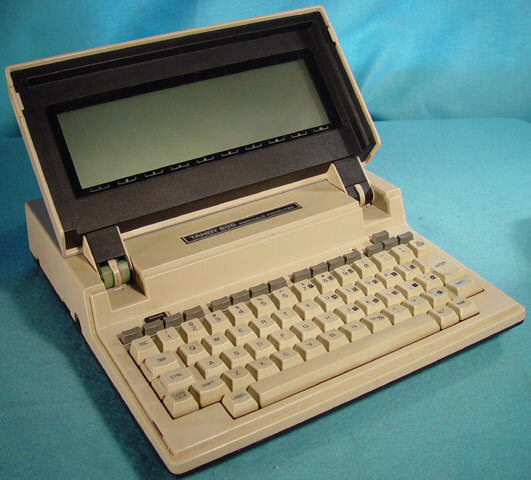 The 600 resembles a conventional laptop - or a ‘jumbo’ Tandy 200 - not the ‘slab’ form of the TRS-80 Model 100. It has a flip-up 80x16 LCD screen, a fine keyboard with an embedded numeric keypad, a built-in 300 bps modem, parallel port, reset button, display control, floppy disk expansion port, and a RS-232 serial port. The stock 600 shipped with 32K of RAM and 160K of ROM. Up to two additional 96K RAM modules could be installed, providing a maximum of 224K of contiguous memory space. (This is different from the 100/102/200 where the memory is looked at in 24K or 32K chunks.) Like the other Tandy laptops of the time, the 600 used its ROM to hold the major programs it came with and RAM to store both files and other programs. 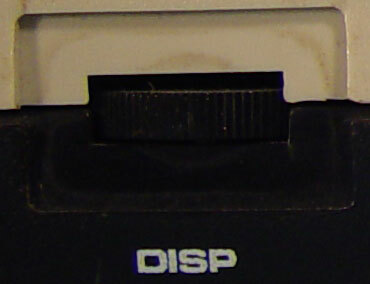 The built-in 3.5" floppy disk drive provided additional file storage. Most power 600 users agree that without at least one extra RAM module, the 600 is rather short on free memory space; but, the onboard disk drive helps with that problem. So long as you are typing notes and not working on monster spreadsheets, 32K will be cramped but usable. The 600 ran on an internal nickel-cadmium (NiCad) battery pack, which was a set of four high-capacity D cells, or an external AC power supply and charger. Depending on the amount of disk, serial, and modem port usage, one could get between 6 to 11 hours of computing time between 14 hour recharges. Unfortunately, NiCad batteries available at the time were known to have ‘memory’ problems and will need to be replaced. 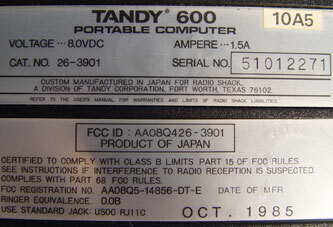 The Tandy 600 was not made in the U.S.A. by Radio Shack but sold by them under license from a manufacturer in Japan. Who the original manufacturer of the 600 is is not known for certain. The Programmers Reference Guide mentions that the ROMs contained code licensed from Microsoft for the 16-bit Hand Held Operating System (HHDOS). However, the BIOS of the computer was licensed through OKI Electric Industry Company, LTD. Maybe OKI made the 600, maybe not. It's hard to say. The Tandy 600 operates under the 16-bit Hand Held Operating System, or Handheld DOS or HHDOS, from Microsoft. Available when the system first powers up, the major applications that the 600 uses are contained in ROM all written by Microsoft. System Manager: Manages all Tandy 600 files, both data and application, displayed in RAM or on disk. Handles file operation such as copying, deleting, listing, and renaming. Sets all system parameters. Allows the user to choose which application to use at any one time. Word: A full-featured word processor with cutting, pasting, margins, paragraph formats, line spacing, indents, page breaks, tabs, page numbers, and so on. Calendar: An appointment and task scheduler that can remind you of important events, print out your itinerary, and chime alarms when appropriate. File: A customizable database application with sorting, formatting, and searching. The Tandy 600 BASIC was able to read and write to database files. 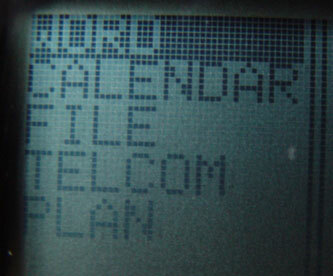 Telcom: Allows the Tandy 600 to communicate through its built in modem or direct connection with other computers either as either a host or a client with Xmodem file transfer protocol. Can be used as an auto dialer as well. Multiplan: A spreadsheet program that stores, displays, prints, and performs mathematical operations on numerical data in rows and columns. The 600’s versions of Word, Calendar, File, Telecom, and Multiplan are part of Microsoft Works v1.20 for Handheld DOS. Depending on its type and format, data can be transferred between Multiplan, File, Calendar, and Word. Conspicuous by its absence is BASIC. Tandy provided an optional BASIC for $129.95 on a snap-in ROM chip. Only the Multiplan or BASIC ROMs can be installed at any one time. FORMAT. !60: Used to format diskettes. DISKCOPY. !90: Used to copy diskettes. DBCALLS.LIB: A set of 28 addition al BASIC commands to manipulate database records created with File. INSTALL. !70: Installs machine language routines. UTILITY.LIB: More goodies for BASIC. The following specifications were prepared from Tandy 600 Technical Manual, pp. 2-4, copyright Tandy Corporation / Radio Shack by an unknown CompuServe member. RAM retention: Data in all RAMs is retained by a backup battery while power is off. Power saving: Power to the FDD, FDC and DMAC automatically goes off when an FDD is not accessed for five seconds. Ring detector function: Ringing tone triggers "CPU Wake-up Functions" when power is off. Clock retention: HD146818 is retained by a backup battery when power is off. The main battery goes off automatically when no data is keyed in for 10 minutes. Actually this section could be entitled “Infrequently Asked Questions” for the Tandy 600 really is about as abandoned a platform as you could find today. But if you’re here, you’ve got questions; you just might find answers. Tandy also published two reference guides for the Tandy 600. The first is the 197 page long Programmers Reference Guide for the BIOS and BIOS Specification. This guide makes reference to a MS-Works Utilities Disk for applications development on the 600. All one had to do was send a blank disk to Tandy and they would send back the files. The second guide was the Service Manual for the 600. At 304 pages thick, this manual gave the technician in the field all he needed to know to troubleshoot the 600. Both of these manuals are long out of stock and print and nearly impossible to find! The Tandy 600 first appeared in a full page add in the 1986 Radio Shack Software Reference and Tandy Computer Guide, RSC-16, page 77. The carrying case did not appear in that catalog; instead, it debuted in RSC-17 in 1987. By the time of RSC-17 and RSC-17B, the add size was reduced to half a page. The specifications in RSC-17 erroneously listed a cassette tape interface capable of loading at 1500 baud and a standard bar-code interface. They were corrected in RSC-17B. 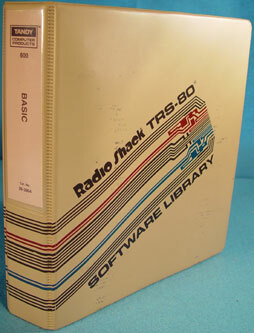 The 1987 Radio Shack Software Reference Guide, RSC-18, listed exactly one software program out of 600 plus for other Tandy computers, and it was Tandy's BASIC ROM for the 600. When RSC-19 was released in 1987, the writing was on the wall for the Tandy 600. It was down to a quarter page add and $999.00 and was surely on Radio Shack's "Sold Out When Gone", a.k.a. SOWG, list by then. RSC-19 also launched the Tandy 1400 LT, Radio Shack's first MS-DOS laptop. The last known confirmed price for the 600 is $599.00 and appears in the letters column of Portable 100, March 1988. However, Radio Shack would continue to drop the price of an SOWG item about every two months to coincide with their inventory cycle. It is quite possible that some 600 computers sold for much, much less than $599 in the waning days of 1988. By the way, RSC-19 marked the end of the line for many Radio Shack / Tandy proprietary, non-MSDOS computers. By the time RSC-20 came out, the Tandy 6000, Tandy 200, Disk Video Interface for the Radio Shack and Tandy 200 / 102 / 100, and PC-8, all met the same fate as the Tandy 600. The Tandy 102 - the reincarnation of the 1984 Radio Shack Model 100 with its bugs fixed and a much cheaper production cost - survived all the way through to the last released Tandy computer catalog in 1992, RSC-23, where it was still listed with 32K for an unbelievable $599.00. While the 600 was introduced on October 28, 1985, it was probably in Tandy’s hands way before that. As of this time, all we have is speculation about when Tandy actually started to fancy the Tandy 600 - which may have been late 1984 - and it comes from a very interesting source. 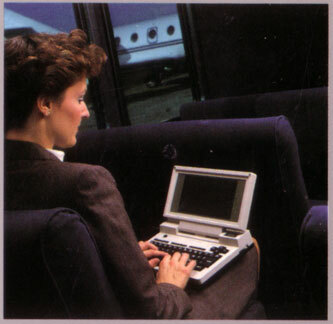 If you were to look at the Tandy 200 Owner's, Multiplan, or Telecom manual cover, you will see a picture of a woman sitting in an airport concourse typing on a Tandy 200. 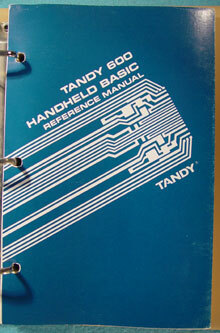 Now look at the Tandy 600 manual cover. That is the same woman, the same concourse, and the same plane. 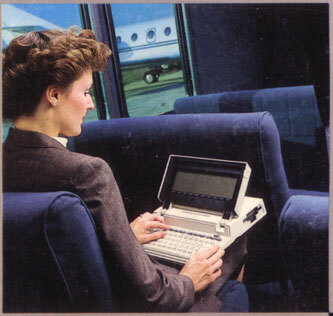 Given her body and hand positions are changed and the hopeless state of tools to manipulate photographs digitally and realistically in 1985, it is very reasonable to conclude that the Tandy 200 and 600 were kicking around the labs - or at least the advertising department - at the same time. (You will also note that the Tandy 2000 is pictured running the same telecommunications program on each manual, too.) If you look closely at the 600 in the pictures, the label of the computer is missing; so, Tandy had yet to decide on a name for the 600. If you look really closely in the picture of the 600 with the 200, you'll see that the 600 is running Telcom so at least it was somewhat functional even if the label wasn’t. 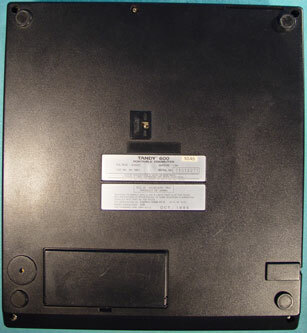 The Tandy 600 also has a manufactured date and serial number on the bottom. The one the author has says October 1985, serial number 51012271. There certainly weren't millions of these units made, so the last 5 digits of the serial number are probably the most significant. Also interesting, the upper part of the case will have die settings of the year, month, and date the case was cast. Easy to read, hard to get to. User manual was contained errors and not generally user-friendly. The rise of MS-DOS laptops. A difficult to read screen with the bizarre layout of 80 columns by 16 lines. Released with a scant 32K of memory out of the box. To their credit, Radio Shack did stock replacement parts for the 600 for several years after it's demise. Batteries and BASIC ROM chips might still be available. Contact your local Radio Shack and have them call National Parts for you. They'll need the catalog number for the 600, which is 26-3901. Depending on whom you read and believe, the manufacturing run of the Tandy 600 is reported to be about 25,000 units. (There were at least 12,271 of them according to the serial number on the author's 600 if the last 5 digits of the serial number are significant and started at 00001.) How many were sold is a bit of a mystery. Every Radio Shack store got at least one, so that's at least 4000 or so. At any rate, they will be a rare find today. You know the main battery is dead when the computer won’t hold a charge anymore. You know the memory battery is dead when you disconnect the AC, have the Memory Power switch on the bottom on, wait a few hours, connect the AC, and have to cold start the 600 because the memory has been wiped. Carefully! :) The battery is located inside the case, obviously. It’s four ‘high capacity’ D cells. If you’re very lucky, they haven’t corroded the works and you can just replace them. (If you’re unlucky, you have some work ahead of you.) Download and review the text files 600BAT.THD from the Tandy 600 Software Archive. You might still be able to order replacement batteries from Radio Shack or other suppliers. Check with your favorite Internet search engine. Even more carefully than the main battery! :) This battery is located inside the case and mounted on the motherboard. You will need to be comfortable with soldering to replace this battery. Don’t do it if you are uncomfortable with it as you might zap the motherboard and that will be the end of your 600; take it to a computer repair shop and have it replaced. After you've tried the obvious such as: making sure you're connected to the RS-232C port, changing the cable, testing the cable, making sure you're using the proper cable (null modem to connect two computers or pass through to connect to a modem) and ‘cold starting,’ what you might be experiencing is a problem with the serial port hardware. Download and review the text file COMFIX.THD from the Tandy 600 Software Archive. Press CTRL-F10 to return to the System Manager. Another interesting little feature is that you can also press CTRL-F9 to switch to the last application you were just in. In BASIC, you have the option to type SYSTEM or QUIT to get back to the System Manager. What you have to do is print the document in on your 600 to an ASCII text file. Then, you can upload that document to your computer using Telcom. You can then use Word, Notepad, or just about any other ASCII text reader to open them. Tricky... But it can be done! Download and review the text files 600TO.LT, ADIDAS.NET, DSKADD.THD, DSK-PC.THD, and MANZ.THD from the Tandy 600 Software Archive. Despite their common, single-sided nature, no. Interestingly enough, the Tandy 600 was designed to support a second, external, single-sided, double-density disk drive though Tandy never released one. (80 Micro, February 1986, page 22.) You can use a double-sided drive; the 600 will only use one side. You will need one that is 720K either 3.5” or 5.25”. (The Tandy 2000 sported a 5.25” 720K drive, by the way. Handy.) 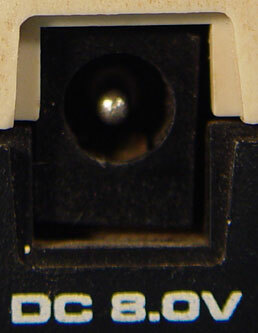 The connection is made through the FDD port on the back of the 600. Download and review the text file DSKADD.THD from the Tandy 600 Software Archive. There were three sources of RAM for the Tandy 600: Radio Shack, Purple Computing, and American Cryptronics. Now the only source of RAM for the Tandy 600 is other Tandy 600s that happen to have 96K RAM modules in them. Check www.ebay.com for Tandy 600s. You may not place the 32K memory from one 600 into an open bank of another 600, the sockets are significantly different; plus, the 32K board has the LCD circuitry on it. What you are looking at is the 600’s 160K worth of ROM programs. Four of them are in sockets and one is in a Molex carrier. 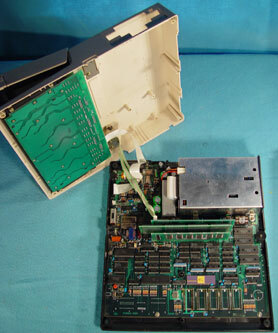 The 600 came standard with Multiplan in the Molex carrier; BASIC was an optional program available on ROM. 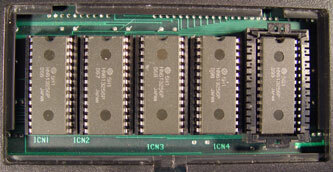 The other four chips are ROMs that contain the system software and the other programs. While it is temping, don’t take out any of those four chips in the sockets just to find out what happens. What happens is bad. Don’t ever do it!! Save all of your work on the 600 to disk. Turn the system off. Close it up. Turn it over. 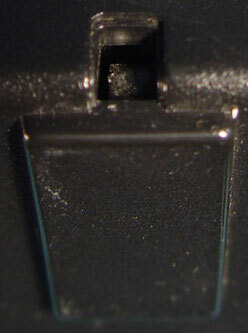 On the bottom of the Tandy 600, there is a little removable cover that just snaps in and out. Position the Tandy 600 so that the cover is closest to you on your left. 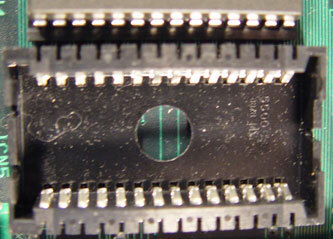 Remove the plate and you will see five ROM chips. The first four ROM chips are in sockets. The fifth ROM chip on the far right of the compartment contains Multiplan in a Molex carrier. There are little plastic tongues on the sides of the chip so that you can gently rock and lift the chip out of the carrier. (When you get it out, you’ll note that the carrier is keyed to only go in one way.) 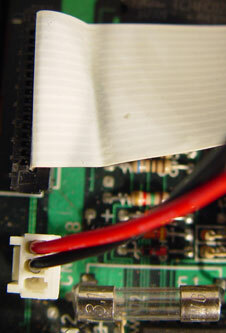 Reverse the process to put in the 600’s BASIC chip, which is also in a Molex carrier. When you turn on the 600, you will see BASIC instead of PLAN in the Application Area of the System Manager. Arrow down to it and press Enter to activate BASIC, just as you would activate any other 600 program. While there used to be a tiny smattering of third-party and Radio Shack support left in 1989, it's all gone now. Computers, 96K memory boards, telephone cables, cases, batteries, and so on. Welcome to "the sunset of computing," so to say. But there is hope! Eventually, just about everything shows up at eBay, www.ebay.com, even a few Tandy 600s! Hamfests are also good places to look for ancient hardware like this. Just keep in mind that because the 600 is fairly rare, you'll have to look hard and often. 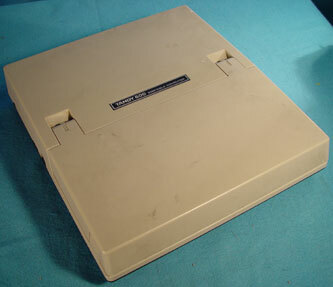 The base model Tandy 600 often sells for around $50. You can expect to pay about $50 for each 96K memory module. Being already equipped with a word processor, database, telecommunications, and spreadsheet software and hobbled with 32K of user memory, the commercial market for Tandy 600 software was thin. Very thin. (Remember, 96K more memory was an incredible $399.95!) So much so, in fact, that only one commercial product is known to physically exist, Radio Shack's BASIC ROM for the Tandy 600 at $129.95. At this date, no physical record has been found of any Tandy 600 software that wasn't user created using BASIC; although there is some anecdotal evidence that Club 600, a.k.a. Easyware Products, may have published some commercial software: Monitor 600 and SpellCheck 600. Dennis Rogers ran Easyware Products of Houston, Texas. It operated a subscription BBS, published a newsletter for 600 users, and sold software for the 600. Club 600 is long gone. Any donations of Club 600 items and the items of any other Tandy 600 software or hardware manufacturers for the further development of this FAQ are welcome. The original, original FAQ is HELP.600, published September 19, 1989 by an unknown author. It is available for download and review as the text file HELP.600 from the Tandy 600 Software Archive. The second original FAQ was created and published by Larry Kollar. It's last known published date to comp.sys.tandy is 12/02/1996. The links to it on the web have long been disabled. The third version of the FAQ is what you are now reading. Thomas McLaren of DigitalDinos, www.digitaldinos.com, compiled, wrote, and edited it. It is a compilation of the first two with errors corrected, outdated information removed, and expanded topics from research and personal experiences. He is looking for corrections, submissions, and contributions from the Tandy 600 users. He can be reached at DigitalDinos, www.digitaldinos.com. The Tandy 600 sports a 300 baud, direct connect modem controlled directly through Telcom. It is not Hayes compatible. (Or at least from the manual, it doesn’t appear to be.) TELCOM supports Xmodem out of the box, so that's one less thing to worry about. The 600's modem port uses the same cable as the models 100/102/200. You may still be able to special order this cable from Radio Shack. The 600's printer port is a parallel port that uses the same cable as the models 100/102/200. You may still be able to special order this cable from Radio Shack. It seems that no matter what you set the baud rate for in Telcom, it always tops out at about 600 baud. And it isn't a problem that has to do with redrawing the screen as Xmodem transfers that don't update the screen crawl along at 600 baud as well. There is some thought in the collective messages out there that the most likely cause is that the BIOS calls are poorly written. Other than that explanation and acceptance, there isn't a fix for this problem. The Tandy 600 is not a Big Brother to the 100 / 102 / 200 in any way other than Radio Shack sold them all. They are at best second cousins. :) So, machine language programs from one will not run on the other. A closer relative to the 600 is purportedly the Heath Zenith ZP-150. But without one to actually test, it's just a hypothesis. Not without serious modifications. Quite different screen sizes, syntax, commands, and so on will make the conversion quite a challenge. However, a few of the programs in the Tandy 600 Software Archive are ports of Tandy / TRS-80 Model 100 / 102 / 200 programs. Remember, you'll need the BASIC chip to run or create BASIC programs. Microsoft was a language powerhouse before it became a operating system giant. The Tandy 600 BASIC was written by Microsoft and is very close to GW-BASIC. (Those Microsoft guys!) But modifications will have to be made to the code by a programmer to adjust to the 600’s specifications of screen size and shortcomings of the 600’s BASIC implementation. Some of the programs in the Tandy 600 Software Archive are ports of GW-BASIC programs. First, get an 8088 assembler for your desktop computer. Then locate a copy of the Tandy 600 Programmers Reference Guide for the BIOS and BIOS Specification. The information is there, but you may need to dig for what you want. Crashes will probably wipe out your RAM files, so backup early and often. Press CTRL-F2 to bring up the calculator from any application. The maximum size is 62533 bytes, approximately 64K and some overhead free. This is true even if you have 96K RAM boards installed. If you need more room for your BASIC masterpiece, split the program into several pieces and call them using "RUN filename." 8 volts DC, 1.5 amp. Center pin is negative. If you test and attach a power supply and the Tandy 600 does not power up, it is possible that you have a blown fuse on the motherboard. Take the computer apart and you will find the fuse next to the battery and keyboard connections. Good screen. Bad screen! Bad! You could be in real trouble. See, “Cold Starts, Normal Starts, Warm Starts, and Resets. Oh My!” in the “Tips and How Tos” section. "Tandy Takes the High Road," J.D. Hildebrand, Portable 100, December 1985, Pages: 19 - 20, 23 - 24, and 27. They already have the largest selling personal portable; now Tandy is taking on the business market with the Tandy 600. It comes with a powerful word processor, spreadsheet, file manager, and more. It may be what users need, but is it what they want? "Shaking hands with your Tandy 600," Carl Oppedahl, Portable 100, January 1986, Pages: 28 - 29, 31, 33 - 35. Moving files to your new Tandy 600? Here's how to do it. "In a Word: Wonderful," Jim Hughes, Portable 100, June 1986, Pages 27 - 29, 32, and 57. Microsoft's word processor on the Tandy 600 is one writer's dream come true. "BASIC and the Tandy 600," Carl Oppedahl, Portable 100, July 1986, Pages: 37 - 43, and 57. Contributing editor Carl Oppedahl put the 600's BASIC ROM to the test and found some good and bad points and some solutions. "ROM with a View: The M Word," Roger Strukhoff, Portable 100, October 1987, Page 3. The editor notes the rise of the MS-DOS notebook and official demise of Tandy's "unfortunate choice" - his words - in notebooks, the Tandy 600. "The Portable File Cabinet," Stephen Schenkel, Portable 100, November 1987, Pages: 12 - 15, and 17. Understanding the Tandy 600's database manages: a guide for the perplexed. "Telecommunicating with Your Tandy 600," Carl Oppedahl, Portable 100, October 1987, Pages: 21 - 23. Although Tandy tried, TELCOM 600 is just more complicated. "Printer Control with the Tandy 600 Laptop Computer," Dennis C. Rogers, Portable 100, June 1988, Pages: 21-24. A program to educate your printer. "The Tandy 600 Connection," David Dunn Thomas, Portable 100, November 1988, Pages: 9-10. GEnie: what it is, what it has, and how to subscribe to it. "Audit 600," Dennis C. Rogers, March 1989, Portable 100, Pages: 14 - 17. How to manage your utility bills with the Tandy 600. "Inside the Tandy 600, Part 1 of 3," Stevie A. Stark, Portable 100, December 1989, Pages: 17-18. 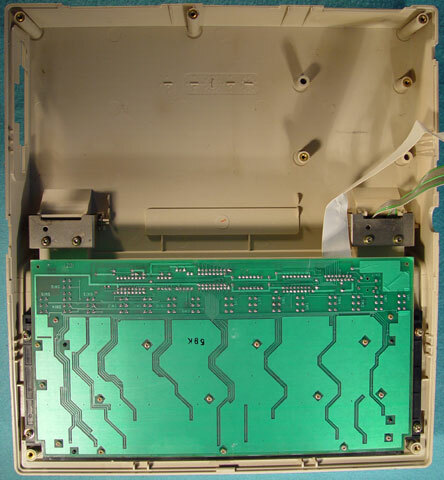 A guide to the insides of the Tandy 600. "Inside the Tandy 600, Part 2 of 3," Stevie A. Stark, Portable 100, January 1990, Pages: 18-20. 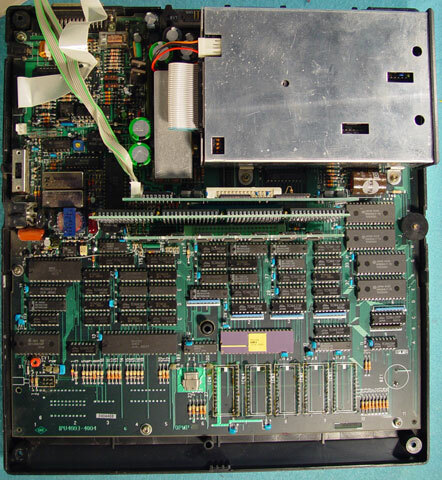 A guide to the insides of the Tandy 600 and other computers. "Inside the Tandy 600, Part 3 of 3," Stevie A. Stark, Portable 100, February 1990, Pages: 18-20. 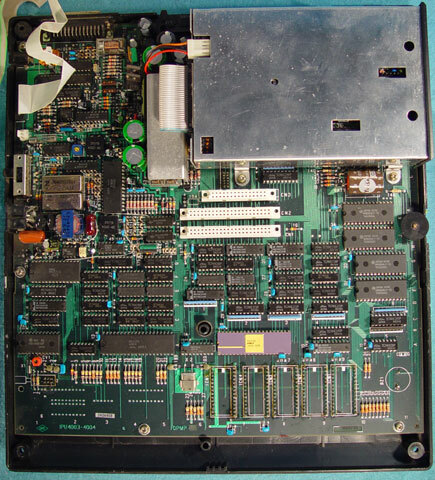 A guide to the insides of the Tandy 600 and other computers. As of the time of this document, all of these magazines were hosted at Club 100, www.club100.org, the Model 100 Users Group web site. 80 Micro mentions the 600 in a few articles. The news item in the Pulse Train column, November 1985, page 21, refers to a kludgy portable project that died, which is the 600. Surprise, surprise! In the February 1986 column, there's plenty to say about the newly introduced Tandy 600, though not all of it nice just truthful. 80 Micro's review of the Tandy 600 is in the March 1986 edition on pages 27 and 28 entitled "Tandy's Model 600: You Can Take It with You." They gave the system 3.5 out of 5 stars. The book "Collectible Microcomputers" by Michael Nadeau lists the Tandy 600 on page 140. The description of the machine is correct. However, he incorrectly states that one of the important expansion options is a Disk / Video interface. There was no such piece of equipment for this computer through Radio Shack or a third party. "The Power User's Laptop", Answers, Pages: 8 - 9. Basically an ad for how great the Tandy 600 is. Answers magazine was published by Tandy. The New York Times covered the introduction of the Tandy 600 in a November 5, 1985 article by Peter H. Lewis. He noted that the 600 addressed a number of shortcomings of the Model 100 such as memory, disk drive, and small screen. But the introductory price of $1599 as well as a charging a "breathtaking $400 a pop" (his words) for 96K would cause potential buyers to ponder if they really need a 600 because, "desktop computers with equal or greater capabilities are available in roughly the same price range." Try turning the DISP wheel to adjust the contrast of the screen. If all the LCD pixels are active, you may be experiencing a lockup, which could be quite bad. See Cold Starts, Normal Starts, Warm Starts, and Resets, Oh My!. The following are tips gathered by Tandy 600 users. While some of them aren't relevant today, like how to logon to CompuServe using an 8-bit connection, they all have historical and research value, which is why they are collected here. Whenever possible, the author is credited for the work. The contact information for all the authors is really, REALLY old. Do not attempt to contact them unless specifically indicated. Turn the Memory Power switch on the bottom of the unit off. Wait 30 seconds. Plug in the AC adapter into the wall socket. Plug the AC adapter into the 600. 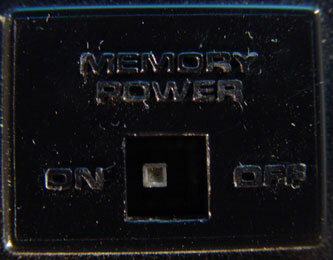 Turn the Memory Power switch on the bottom of the unit on. Wait 5 seconds. Open the unit’s lid and find the keys labeled BKSP, ALT, LABEL, and POWER. Press and hold down the keys in this order: BKSP, ALT, LABEL, and POWER. (In the end, all four keys will be pressed down at the same time.) Wait 2 seconds. Release BKSP, ALT, and LABEL keys. Congratulations! You have just ‘cold started’ your 600! All of the data files have been erased - they were garbage anyway, trust me - and the System Manager screen appears. Under normal conditions, simply pressing the power key will turn the 600 on and off. This is called a ‘normal start’ and will not affect any files in memory. First, perform a ‘warm start’ by holding down the BREAK key - that’s SHIFT & PAUSE - then press and release the POWER key. Release the BREAK key. You might be rewarded with a return to the System Manager screen. ‘Warm starts’ also recover any memory not recovered when a file is deleted. Just in case, save everything and perform a cold start. If the ‘warm start’ leaves you cold, press the Reset button on the front, left side of the 600. This usually doesn’t help; but if the System Manager screen appears, you’re bound to feel better. Now, save everything and perform a cold start just in case. Both the ‘warm start’ and the Reset will leave your files intact. But if they do not work, your only option is to go for a ‘cold start,’ which will reset the 600 to its ‘out of the box’ condition and erase all your files. The LPT1: device in Handheld Basic will automatically add a carriage return and a line feed after every eighty characters whether we want it to or not. The GW-Basic WIDTH command was not implemented in HH-Basic. This prevents HH-Basic from printing the full width of "wide carriage" printers, or the full width in compressed mode. It also prevents the proper printing of bit image graphics, due to the two "extra bytes of data" being added every eigthy bytes. Fortunately, the solution is not terribly complex. Open a disk or memory file for output as 1. Then replace LPRINT with PRINT#1, placing the "printed" output in that file. When all of the "printed" material is in the file, exit to the System Manager. Use the Copy command to copy the file to PRN. It should print to the width that you wanted. As a final note... Copying a file to the printer can print any file. The 600 screen is best viewed with a broad overhead light source such as the ceiling lighting found in many offices, however our homes aren't lit that way and we go through all kinds of contortions trying to read the screen with our home lighting. I've found that a piano lamp, the type that extends over the sheet music, works best for me. The base sets on the top of the 600 behind the screen and extend above the screen at just the right angle for easy viewing. Often I call CompuServe long distance and I may not want the call to be billed to the phone I'm using. In my phonebook file there is an entry-- COMPSVECARD with ph# 0(the # of the node I'm accessing)++++(then my calling card number). The + sign is a one second delay. 4 seconds is about right for most local telephone switches, but you may need to experiment if local switch is older. Then write a script file and connect using COMPUSVECARD for auto logon. If you are beginning to get a lot of files and those 8 letter file names just don't jog your memory enough, then try this: use COPY (filename) to CON (console). This works like the TYPE command in DOS. Use [CTRL]S to pause to scrolling and SHIFT BREAK to quit. This works on text files and WORD files (disregarding to "garbage" at the beginning), however don't bother with BASIC or PLAN files unless you're just looking for a little excitement. It may seem like you have to completely reenter a command or cell formula, but whoa, there's an easier way. Say for example, you want to change the SET WAKE FUNCTION to enter a new date. Tab to the date entry, the entire current setting will be in reverse, press F10 the cursor will go to the end of the entry, now press F9 or F7 and "backup" to whatever you want to change. After entering the changes then use <shift del> keys to erase to the right of the cursor. This works in all WORKS and WORD command lines, and with the Edit function in CALENDER, FILE and PLAN. 1. Go Terminal and change only the Parity from EVEN to ZERO. As soon as you hit ENTER after this choice, your CompuServe settings will change, so that now most letters will be preceded by one or more of these symbols ~~~ ( produced by CTRL+= while off line ,in Edit.) This will still be legible, and CIS will still respond to your keyboard. 2. Now press CTRL+C enough times to stop this abnormal display. 3. Press SHIFT + ESC, M, to get to your settings. 4. TAB 3 times to word length 7 and press SPACE to go to 8. 5. TAB once to go to Parity EVEN. Space twice to change EVEN to NONE. 6. Press ENTER to return to Telcom menu. 7. Press C to resume connection. 8. Make whatever choice needed to resume the flow after the CTRL C interrupt. If you used CTRL S to stop the flow, you may need to use CTRL Q to resume. CIS will now continue but will be legible and normal looking. If you now sign off or continue, CompuServe, before continuing, will ask you if you wish to keep these settings or have them apply only to this one time use of CompuServe. You are now in 8 bit. This will enable you to read/download 8 bit material in the library, although you will not be able to use it unless you have the facilities. So far as I know, you cannot upload pre-prepared messages in 8 bit. It's the usual sign on, in disguise. This is because CompuServe always signs on in 7E. But it will accept your responses in 8 bit, and as soon as it receives your ID number it will switch to 8 bit. Then everything will be normal except a line feed may lost at the instant of switchover, so the password request may continue on the same line. You can write a script that starts in 7E and changes to 8N, by entering a second line of Modify settings after your I.D number, these for 8N. To get out of 8 bit, reverse the process. Go terminal and change ZERO to EVEN. Stop the symbols that follow as in steps 2 and 3 while you change Modify to 7E. The technical reason that you see this garbage when your computer is at 8 and the host is at 7, is that your computer reads the first seven bits correctly as either 0 or 1, as they are transmitted. Then it is still waiting for bit number 8, while the host, having delivered 7, goes on to the next character. Your computer will then misread something as the bit number 8 it is waiting for. If it sees something it interprets as 0, then the character is unchanged. But if it adds a 1 to the 7 bits it already has, it changes the symbol into one higher on the list by a count of 128. (Manual pages 257 - 264). 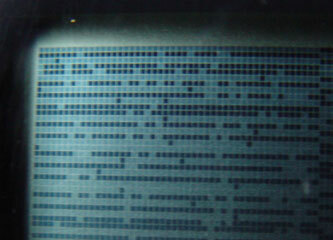 The other way, when your computer is in 7 and the host is in 8, your computer sometimes interprets the extra information that it is not set up to receive as an extra character, which it reads as Decimal #126 on the list (page 260). If you inherit a long document with line feeds after every line, but they are not where you want them for a re-shaping of the document, here is one method of removing line feeds (or ‘pi’ signs) from a document, Tandy 600 Portable. 1. If you wish to retain paragraphs, while stripping all other line feeds, go through the document and mark the beginning of each paragraph with a symbol such as a triangle. The keys for this are CTRL+P. This will provide a marker, which will not be stripped, so that you can re-insert the paragraphs later. (I just found out that that triangle produces a line feed in the Forum editor). 2. Starting with a file in word, Copy it to a disk file. 3. Verify successful copy by Copying the disk file to Console for a brief inspection. You should see symbols before the text appears. 4. Delete the original Word file if you need the space. 5. Open a new Word file. 6. Merge the Disk file into this new Word file. This should produce about 60 to 80 lines of symbols and spaces, followed by the text. The text appears stripped of all formatting except spaces. 7. Find the beginning of the original text, and place the cursor there. Ignore spurious repetitions of the text mixed in with the symbols. 8. Press F6 to enable extend. Press the left arrow and hold it to block in the area from the start of the text to the left end of the display. Then press and hold the up arrow to block in the entire display of symbols, all the way back to the start. 9. Press ESC, then D to delete the symbols. You will need 5000 bytes or more available to do this in one shot. Otherwise, do steps 8 and 9 in two or more sections, removing the symbols in blocks at a time. Delete SCRAP later. For short documents it may be simpler to just run the cursor down the left side of the display and press DEL at each line. The Tandy 600 portable computer Owner's Manual does not mention how to send formatting codes to the printer; i.e., underlining, changing fonts, etc. Yet that does not mean that it cannot be done. I have found an easy way to send any code (including ESCape sequences to most printers) with any Tandy 600 built-in application. All you need is your printer manual and Appendix D - ASCII Character Codes from the Tandy 600 Owner's Manual. For the purposes of this document, I will talk about sending codes to an Epson printer. This method has also been used successfully on an IBM Proprinter, and with limited success on the CGP-220 Ink Jet printer. Sending non-ESCape codes to any printer is very easy. If you want the printer switched to the compressed mode, for example, look in your printer manual for the code. It can be in either decimal or hexadecimal. The code for Epson printers is decimal 15. Now looking in Appendix D of the 600 manual, the Key Top Character for decimal 15 is CTRL-O (the letter O, not the number zero.) Keep in mind that case is significant, so press the CAPS LOCK key for a capital O. Pressing CTRL-O with the CAPS LOCK on does not produce the same code as pressing SHIFT-CTRL-o, so make sure and use the CAPS LOCK key. Wherever you want the printer in the compressed mode, press CTRL-O. You will see a "star" symbol on the screen, but it will not be printed. The code for turning off the compressed mode is decimal 18, which translates to CTRL-R. Pressing CTRL-R produces an "up-down arrow" on the screen. That's all there is to it. Sending ESCape code sequences are a little more complicated, but not much. As you know, the ESCape key on the Tandy 600 stops whatever you are doing and sends the cursor to the menu line. Therefore, you cannot just press the ESCape key to send an ESCape code to the printer. The code for ESCape is decimal 27. I have found that an ESCape code can be sent to most printers by adding decimal 128 to the decimal 27, producing decimal 155. Decimal code 155 is produced by pressing SHIFT-ALT-4. While holding down the SHIFT and ALT keys, press the number four key on the top row of the keyboard. The symbol produced on the screen is the cent sign. Then you can follow this by whatever other codes are necessary to get the job done. 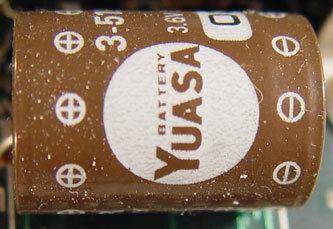 Turning on underlining with the Epson printer, for example, is accomplished with ESC-hyphen-1. To do that with the Tandy 600, type SHIFT-ALT-4, then the hyphen, then the number one. You will see the cent sign followed by the hyphen and the number one on the screen, yet they will not be printed. Turning off underlining is ESC-hyphen-0, so you type SHIFT-ALT-4, then the hyphen, then the number zero. I was able to produce all 160 different typestyles with the Epson printer using my Tandy 600. This method of sending ESCape codes does not work with my CGP-220 Ink Jet printer. Apparently it does not like the decimal 155 for the ESCape code. You will just have to try this method and see if it will work with your particular printer. As I said earlier, it does work for Epson and IBM printers. By the way, these codes work with all built-in applications, not just Word. It is very useful to turn on the compressed mode for spreadsheet applications under Plan, for example. The only drawback I have found is that these codes take up space on the screen, which can upset your margins. For example, to start and stop underlining on one line takes a total of six characters. Even though those six characters will not be printed, they probably have caused the last word on the line to be wrapped to the next line, leaving a right margin that is more ragged than usual. This problem will essentially prevent you from justifying any paragraph which has one of these extended print formatting sequences. If you are changing print pitch (i.e., going from pica to expanded, compressed, or elite), you might want to put the codes on the line prior to the line where you want the codes to take effect. The problem is a little more severe in Plan. Since the printer does not print those formatting codes, the cells that are to the right of print formatting codes do not line up with the rest of the columns. A little trial-and-error experimenting with moving the text further to the right within a cell will line up everything when it is printed. In conclusion, you can send nearly any code that you choose to the printer. You can underline, boldface, or change the pitch. Even though Tandy decided not to put the fullest or latest implementation of Microsoft Word into the Tandy 600, I think that it is an excellent word processor for a portable computer. It is not just another text editor. The current Tandy 600 FAQ with color pictures can be found somewhere on the DigitalDinos website, www.digitaldinos.com. The text version will be placed in the comp.sys.tandy newsgroup on the rare occasion. While not cited at every instance, the defended, copyrighted works of others is respected and appear in this document only under the “Fair Use” doctrine. Readers of this document are required to give such copyright holders the same deference. Aside from previously copyrighted material appearing under “Fair Use,” this version of the Tandy 600 FAQ is owned, copyrighted, and released as freeware by DigitalDinos who makes no guarantee of its fitness to task, seeks no compensation for it, nor warranties it in any way, and requires all others providing it in any way to make it available for free. Use of this FAQ is strictly at the users own risk and peril. (See “Disclaimer,” under “Introduction” above.) Should DigitalDinos cease operation, this FAQ will immediately become public domain to be incorporated into the next Tandy 600 FAQ, should there ever be one. This FAQ may be distributed, quoted, and linked to providing that its content remains unmodified, proper credit is given, and no profit is generated. Do not link to the document itself on the DigitalDinos website, link to www.digitaldinos.com as the location of this FAQ is subject to change. Tandy Corporation holds the copyrights to “Tandy”, “Radio Shack”, “Tandy 600”, “TRS-80”, and so on. Microsoft Corporation holds the copyrights to “Microsoft”, “MS-DOS”, “Handheld DOS”, “Handheld BASIC”, “Word”, “Multiplan”, “Telcom”, and so on. “DigitalDinos” is copyrighted 2002 by DigitalDinos. The Tandy 600 Software Archive is located at The Web 8201 Project in their file downloads section under the M100 SIG Library. Updates are made on a specific “whenever the author gets around to it” schedule which isn’t likely to change unless the author becomes independently wealthy by hard work, inheritance, winning the lottery, or a combination of all of the former. The most current version of this FAQ - complete with cool pictures - is available somewhere on the DigitalDinos website, www.digitaldinos.com. It would be remiss of this FAQ’s author to not thank those who have come before and contributed to Tandy 600's vast (?) body of knowledge. Second to Gary J. Weber who is maintaining the Tandy 600 archive on his site The Web 8201 Project. The site is dedicated to supporting the NEC PC-8201A and PC-8300 (and TRS-80 Model 100 & 102, Olivetti M-10, Kyocera KC85) laptops. Third, many individual "Thank-Yous" to the countless number of authors of the CompuServe and comp.sys.tandy newsgroup messages over the years relating their personal experiences and retelling facts about the Tandy 600. Significant portions of the original FAQ and therefore some of this one has been drawn from those messages. Do not under any circumstances believe that the contact information for any of these authors is current or even correct! It was taken from old messages to attribute the work to the person. Really old messages... We're talking really old, OLD messages here! And where would this FAQ be without a reading of the manual for the Tandy 600? Even though it has some errors, it’s still an invaluable reference. A “Thank You” to its unknown author is also gratefully offered. By day, Thomas McLaren is a mild mannered senior IT professional (project manager, business analyst, software architect, technical writer, and occasional programmer) and landed peasant who scratches out a very modest living employing almost exclusively Microsoft technologies, especially .Net enabled ones, despite his rapidly addling brain. Occasionally by night, he operates DigitalDinos at www.digitaldinos.com where his classic computing hobby comes alive. (Or at least makes a hopeless attempt at paying for itself.) Way back in late 1986 bitten by the 600 bug, he traded a complete TRS-80 Model 100 32K setup with the original 100K PDD, thermal printer, lots of software, case, cables, books, and DVI for a Tandy 600. Since that time, he has worn out - or been remiss in properly taking care of - at least two other Tandy 600s. In late 2002, he revamped this FAQ mostly to help himself remember how the heck to get the Word files he created from 1987 - 1992 from the Tandy 600 to his PC so he could archive them, put the Tandy 600 into long term storage, and get on with petting his 95 pound German Shepherd mix dog, Sheba. An interesting side note is that he also worked for Radio Shack during the incredibly short time span that was the Tandy 600's heyday, which seemed a lot longer back then due to 12-hour days and few - if any - weekends off!! (Not that he’s still bitter about that...) Since he actually used the Tandy 600, he was able to sell more and more of them as the price kept falling like a rock in a really, big hurry. And to his former Radio Shack customers reading, clawing, fighting their way through this murky, technical prose desperate for answers and finding none, he is truly, really, deeply sorry; but, he simply must go and pet the dog now.